Monks know a thing or two about alcohol - no joke here. A Frenh Benedictine Pierre Perignon from Abbey of Hautvillers on August, 4, 1668 thought of adding carbon doxixe to grape juice. This was how a drink known to us as champagne emerged. However the sparkling beverage's official birthday had yet to be awaited because back in the times a rare container suited the drink's bottling. Pressure inside a bottle equaled 6.3 kg per square centimeter which isalmost three times higher than in a car tire! Only as late as in 1800 a pharmacist - history retains a memory of him as of Francois de Chalone - invented modern solid bottle made of dark glass. Speedof a cork flying out of the bottle is 14 meters per second with its hieght reaching 12 metrs. Wire that holds a cork is called muselet and it has standard length of 52 cm. 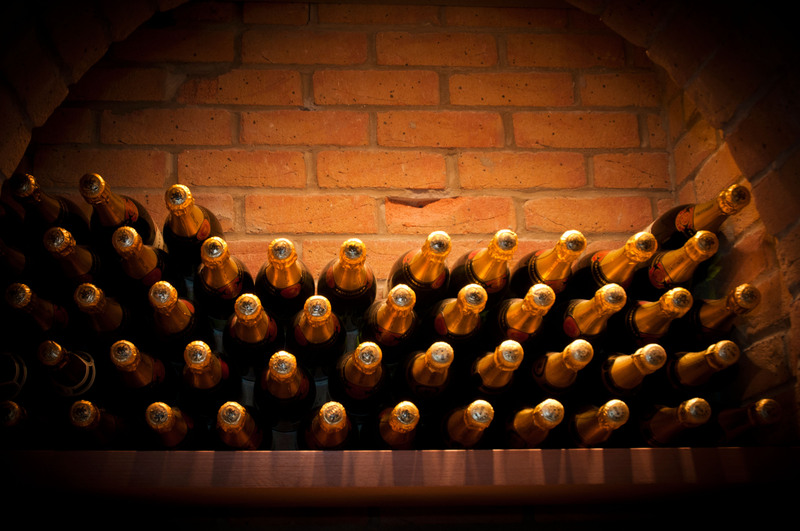 A bottle contains about 200-250 million bubbles on average. It is exactly the ability to keep bubbling for ten hours after being uncorked that determines qualityof champagne to a large extent. 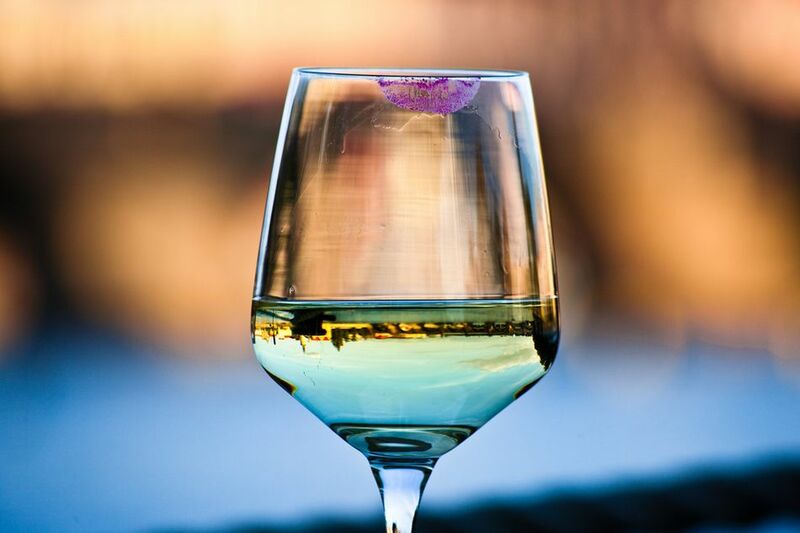 Experts recommend women not to drink champagne while wearing lipstick because it contains substances that stifle certain taste properties of the beverage. Treaty of Versailles, signed in 1919, not only regulated lives of millions of people after World War I, but also regulated use of the word 'champagne'. In compliance with the agreement, it could only have been applied to wine produced in the province of Champagne. Nevertheless, in many countries, for instance, in USA and USSR, legislation had loopholes allowing producers to turn a blind eye to the rules. According to sugar contents the beverage is divided into: brut (up to 0,3%), extra dry (3%), sec (5%), demi-sec (8%) and doux (10%). There are other kinds of 'extras'. Extra brut, for instance - no sugar is added to it at all. It is hard to imagine car races without champagne and pedestals with its spraying. The first one to "congratulate" his opponents as well as broader public with finish this way was Dan Gurney. 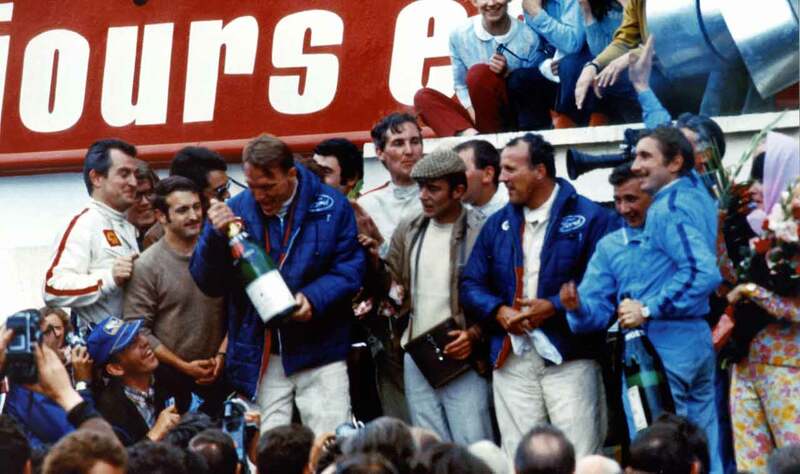 He won "24 Hours of Le Man" marathon in 1967... to get a bottle of our sparkling 'hero of the day' from orchestrators. Since then this tradition has been scrupulously observed even during competitions in Islamic countries - special alcohol-free fizzy drinks are made for the occasion. 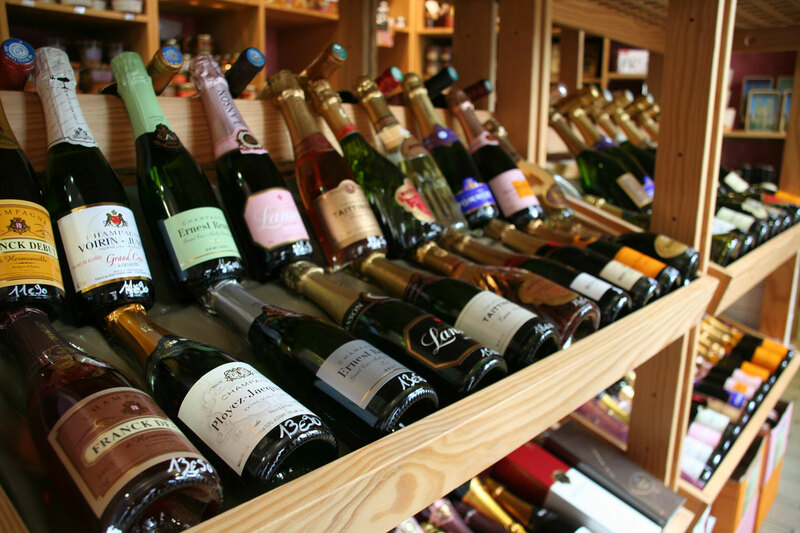 Grapes for champagne production has to be either white (Chardonay) or red ( Pino noir or Pino Meunier ). It is customary to gather it when acidity level is higher than sweetness level. By the way, in the province of Champagne maximum allowed harvest constitutes 13 tons per hectar - it is forbidden to gather more for beverage production due to inevitable quality loss. Foil that crowns a bottle's neck wasn't there in the first place to appear only in 19th century and its initial purpose wasn't beauty at all. It was aimed at scarying rats that used to scurry around vaults and drop bottles. Hussars and movie heros liked and still like to impress ladies by opening a bottle with a sabre or by making a cork pop spectacularly. Nevertheless, should taste qualities be of more importance to you, our advice is not to follow their lead. Open a container as 'quite' as possible and the sparkling one won't lose carbon dioxide. It is considered to be really classy if the sound of an opening bottle reminds a whisper or an inhale. Make sure yourself!